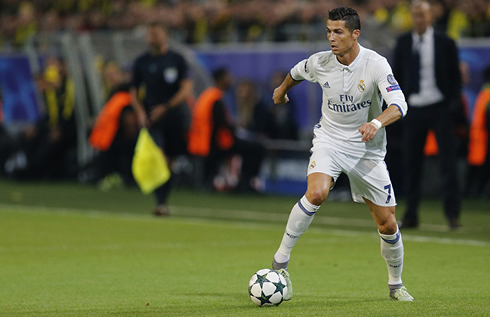 ﻿ What can Madridistas expect against Borussia Dortmund? 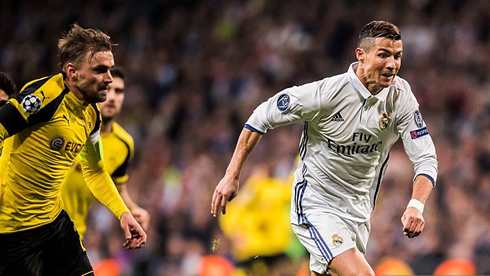 26.09.2017 » What can Madridistas expect against Borussia Dortmund? 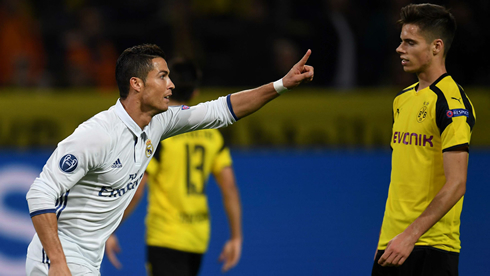 The Champions League second round of fixtures starts tonight, as Real Madrid flies over to Germany to battle against Borussia Dortmund After a shaky start in the Spanish League, the Merengues now hope to at least keep their victorious record in Europe. The trip to Dortmund is perhaps even more difficult given that Borussia lost their opening game of the group phase in an entertaining 3-1 loss to English side Tottenham Hotspur at Wembley. Peter Bosz side have responded well, however, registering three straight wins in the Bundesliga, scoring 14 times and conceding just once in the process. The Portuguese superstar will be desperate to increase his seasonal tally of two in one Champions League appearance on Tuesday night too, especially as suspension has stopped him from opening his La Liga account for 2017-18. At 32, questions regarding the inevitable decline are already starting to circulate, and a big performance here would go a long way to proving those doubters wrong. Following another nervy afternoon at Alaves on Saturday, a big result in Dortmund could be the catalyst to get the campaign back on track too. With the likes of Marcelo and Karim Benzema nursing injuries, Zidane certainly faces headaches in key areas of the pitch. Generally speaking, the squad is more than a little thin right now. However, the return of Luka Modric (after being rested) and Toni Kroos (following a minor rib injury), should give the visitors a great chance of dominating the key battles in midfield. Spanish duo Isco and Marcos Asensio add further quality to the Madrid midfield, with Sport360.com picking out both players as key men in the weekend win over Alaves. While Dortmund certainly have quality in those areas, it is one part of the pitch where they are outclassed by Madrid. Zidane will have seen the way that Tottenham hit Dortmund on the counter to great effect and, with the hosts needing a positive result, that could be a winning blueprint for Cristiano and co. to power their way to victory. If they do, a place in the last-16 will look virtually assured even after two matches. 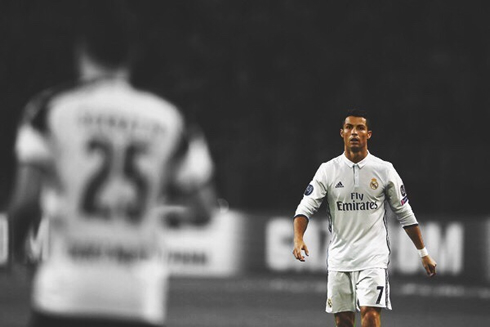 Cristiano Ronaldo next game is for Real Madrid on September 26 of 2017 against Borussia Dortmund. You can watch Juventus live stream, Borussia Dortmund vs Real Madrid, Sporting vs Barça, Man City vs Shakhtar Donetsk, APOEL vs Tottenham, and Spartak Moscow vs Liverpool, all matches provided from our football streaming game pages.